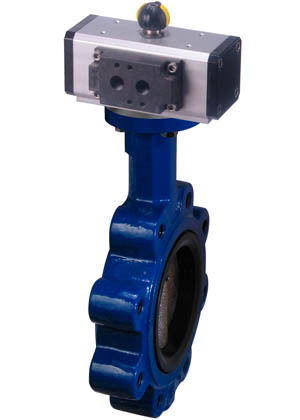 Assured Automation offers a variety of butterfly valves for a wide range of industrial applications. Below is a general valve seat selection guide . When selecting seats, always consult the pressure/temperature and corrosion resistant charts. Please note that not all seats are available in all valves. EPDM – Ethylene-propylene diene monomer. EPDM has good abrasion and tear resistance with excellent chemical resistance to a variety of acids and alkalinesketones and alcohols. It has good weather and ozone resistance working in temperature ranges of -20°F to 230°F. EPDM is not resistant to hydrocarbon solvents and oils, chlorinated hydrocarbons, turpentine, or any other petroleum based oils. Buna-N – Buna-N (Hycar or Nitrile) is an all purpose polymer with good resistance to air, water, solvents, oil and hydraulic fluids, alcohols, glycols and propane and butane. It displays good compressions, tensile strength and abrasion resistance. It works up to 225°F but should not be used in high polar solvents (acetones, ketones) chlorinated hydrocarbons, ozone and nitro hydrocarbon service. PTFE (P) is a common synthetic seat material well known as the brand Teflon by DuPont. PTFE is used in many seal/seat material due to its low friction, high chemical resistance, and fire resistant properties. PTFE comes in a variety of grades typically being able to withstand temperatures of up to 300°F. Has limited strength and is suitable for lower pressure valves. R-PTFE– Reinforced tetrafluoroethylene – RPTFE is a variation on PTFE (teflon) that typically has 15% glass filled fiber making it more suitable for applications with higher pressures. RTFE should not be used in hydrofluroic acid and hot spring caustics (due to a reaction with the glass). VITON (V) Fluorocarbon – This Dupont fluorocarbon elastomer is compatible with a broad range of chemicals. Due to its extensive chemical compatibility this material is a common seat/seal material in many valves. It is resistant to hydrocarbon products and mineral acids, both dilute and concentrated solutions. However, it should never to be used in steam applications and works poorly in water service. Rated for temperatures of -20°F to 400°F.